Provides guidance to management for accounting policy development for FMCNA, researches accounting issues, develops and presents new finance & accounting policies and updates existing policies to ensure adherence with both domestic and international accounting pronouncements and other Company initiatives. Oversees the analysis of acquisition financial due diligence for FMCNA to measure the performance of proposed acquisitions and new business opportunities. Leads the coordination of external valuations on significant acquisitions and acts as a liaison between external valuation experts and external audit. Responsible for overseeing financial projects as assigned by the Senior Director of Financial Policies and Controls or the VP of Financial Policies and Controls. Provides guidance to management for accounting policy development for FMCNA; researches, develops, and presents new accounting policies and updates existing policies to ensure adherence with accounting pronouncements both domestic and international and other Company initiatives. Oversees the analysis of acquisition financial due diligence for FMCNA to measure the performance of proposed acquisitions and new business opportunities. Leads the coordination of external valuations on significant acquisitions and acts as a liaison between external valuation experts and external audit. Provides primary review of joint venture agreements for put options, consolidation, and potential accounting issues. Responsible for overseeing financial projects as assigned by the Senior Director of Financial Policies and Controls or the Vice President of Financial Policies and Controls . Provide leadership, coaching and development plans for all direct reports maintaining an engaged and productive workforce; partnering with Human Resources on employee matters. Works with employees to develop clear and concise development plans to ensure the advancement of future leaders within FMCNA (succession planning). Responsible for leading certain financially oriented process improvement projects within the company. Delegates and manages the planning and execution of the projects appropriately. Remains current on accounting pronouncements; interprets relevance of current and prospective pronouncements to FMCNA. Prepared to proactively address pending accounting pronouncements. Researches, analyzes, interprets and provides guidance on complex accounting issues as they arise from internal questions, proposed transactions, audit requests or the application of new rules. Researches, interprets and develops policies to ensure compliance with GAAP, FASB pronouncements and technical bulletins, EITF, IFRS, etc. Communicates the impact of accounting pronouncements on FMCNA to applicable corporate and divisional management. Collaborates with corporate and divisional management to determine the best approach for addressing accounting pronouncement requirements. Leads the effort to ensure accounting policies are applied consistently across division lines; acts as the Subject Matter Expert for accounting policies. Provides ad hoc analysis of and guidance on accounting issues. Reviews draft SEC documents for adherence to new accounting pronouncements and reasonableness. Aids in the response to SEC and German regulatory agency comment letters to the financial statements. Reviews objectives to determine the success of the operation. Establishes operational objectives and assures adherence to budgets, schedules, work plans, and performance requirements. May be responsible for the direct supervision of various levels of financial project analyst staff. Bachelor’s degree in Accounting or related area required. Master’s degree preferred. 6 – 8 years’ related experience preferably in a large public accounting firm and / or strong public industry financial reporting experience. Big Four Accounting Firm experience and medical industry experience preferred. 3+ years’ experience as a Manager preferred - Demonstrated ability to manage one or more departments or direct reports. Must be technically grounded with a solid foundation in accounting policy development. Must have a comprehensive understanding of accounting methods, work flow, and be able to educate other employees as necessary. Must have a strong foundation of technical accounting in relation to external financial reporting. Must be able to work independently and collaborate with cross functional teams. A strong tactical decision-maker - Must have strong management and leadership skills. Must be a team player and work well in a group. Strong organizational and communication skills and PC proficiency a must. Experience in dealing with various levels of management. 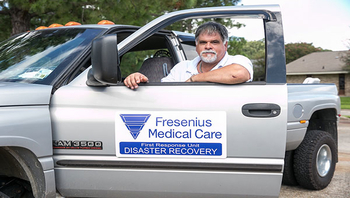 Discover how Fresenius Medical Care employees are leading the way in healthcare. 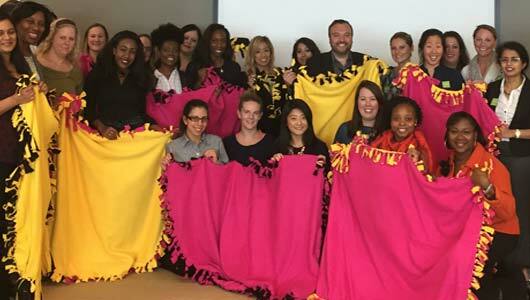 Members of Human Resources turned a team meeting into a team-building exercise to make fleece blankets for homeless military veterans.